In light of the tragic and untimely death of The Prodigy frontman, Keith Flint, the band have cancelled all their upcoming shows. As the music industry mourns the voice who defined a generation of nineties ravers and misbehavers, The Prodigy have hung up their mics for the time being. Flint was found dead on March 4, just a month after what would become his last performance with the band in February at the The Trusts Arena in Auckland, New Zealand. The Essex three-piece were celebrating the release of No Tourists, which came out just five months ago, marking their seventh studio album in a career spanning decades. They were set to headline London’s SW4 festival, which takes place on Clapham Common on August 24 and 25. Emily Eavis also confirmed yesterday (March 5), the band were billed to play Glastonbury 2019. Flint was found dead by police who were called out to the 49-year-old’s Essex home over concerns for his welfare on March 4. He’s reported to have spent his last days helping out neighbours, running a 5k and celebrating his dog’s birthday. Following the news of Keith’s death, The Prodigy released a touching statement about their ‘brother and best friend’. 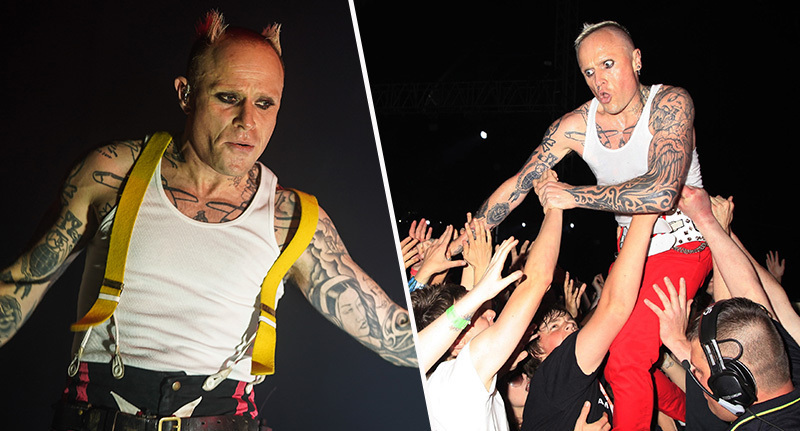 It is with deepest shock and sadness that we can confirm the death of our brother and best friend Keith Flint. A true pioneer, innovator and legend. He will be forever missed. We thank you for respecting the privacy of all concerned at this time. Band member Liam Howlett told fans Flint had taken his own life via an Instagram post, in which Howlett said he was ‘shell shocked’ as well as ‘angry, confused and heart broken’. The exact cause of death is yet to be confirmed by police or coroners, however, Flint’s death is not being treated as suspicious. RIP to a true icon of anarchy.